Those who follow my Instagram or my personal FB page might think we are habitual gamblers! Or, Krispy Kreme addicts. Okay, maybe we hit the Krispy K a little too much, but the hot light app gets me every time! 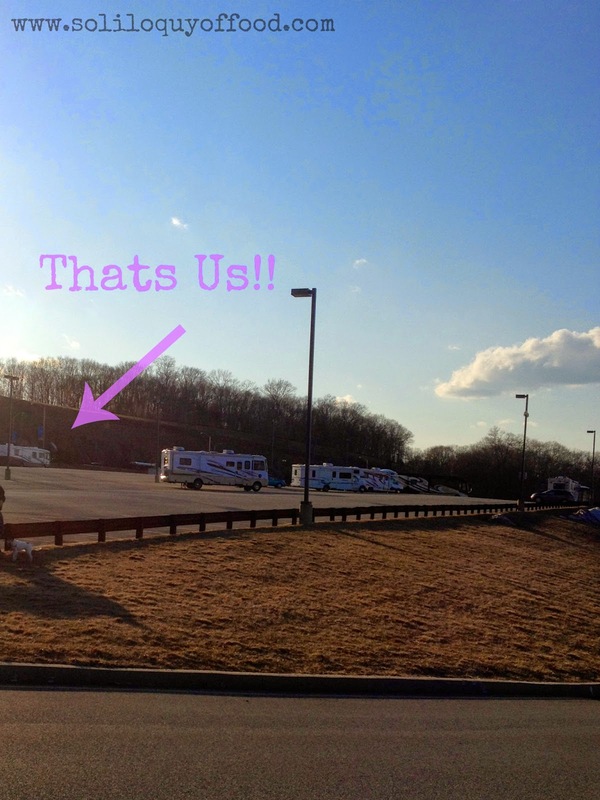 For the three weeks leading up to our departure, we spent the weekends boondocking, or dry camping, in the Mohegan Sun Casino RV Parking lot. It was about an hour from home; long enough for a test drive, yet not too long of a ride. 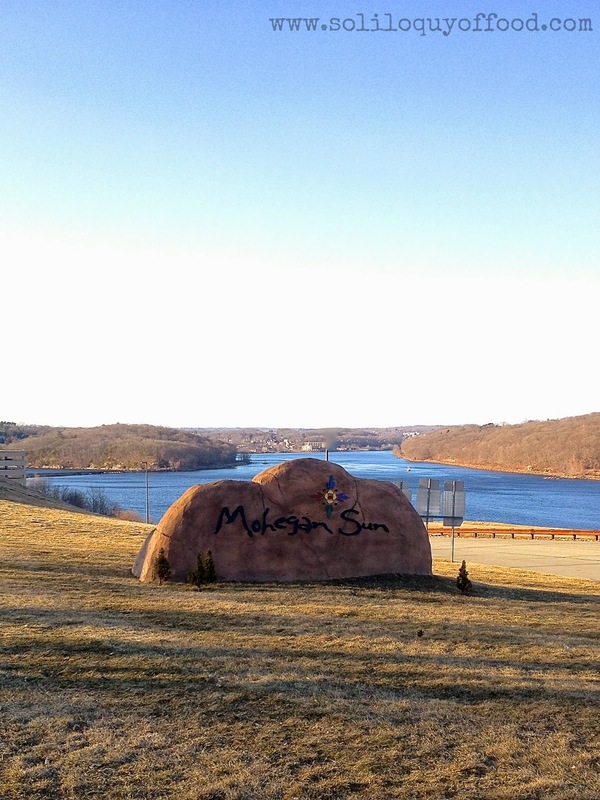 Mohegan offers this parking lot specifically for RVers who want to stay and play! There were surprisingly others braving the chilly temps in March...we weren't the only crazy ones! Once you pull into the lot, as the sign states, you call the dispatch office to check in. A security officer will meet you in the lot to issue you a required parking permit. The permit is free and can be found on their website >> here <<. If you can print it out in advance and have it fully completed, great. If not, security will have on for you. You can stay up to seven days on one permit, after which you need to reapply for another one. Once the officer signs off on your permit, just pop it in the window and you're good to go! 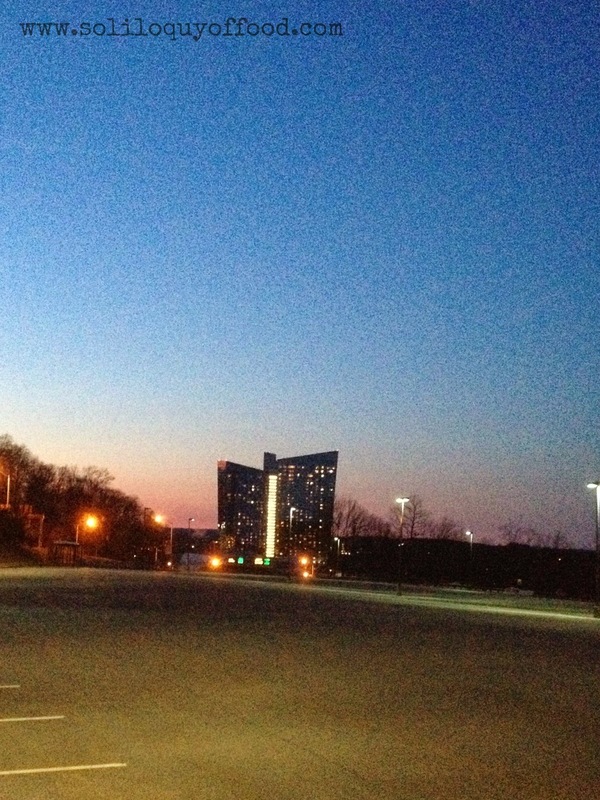 A shuttle will come through the lot every 15-20 minutes to bring you to and from the casino. It's not required, but a nice gesture to tip the driver...they will literally pick you up and drop you off at your door, instead of the bus shelters. This comes in handy on rainy days. 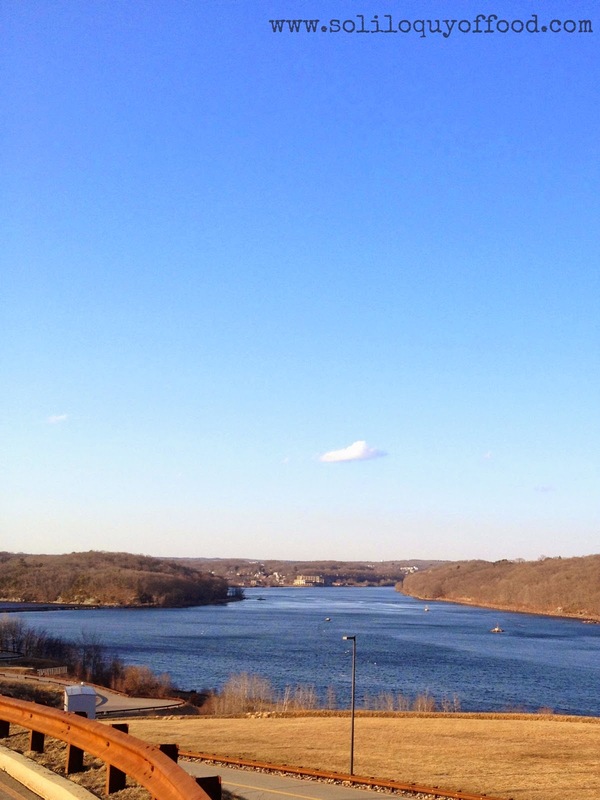 The RV lot is high on a hill overlooking the Thames River. The view is lovely. Just off to the left is the casino hotel, erect and luring in the near vicinity. Our first weekend here it was still too cold unwinterize the water lines...it was a dry trip! We packed simple breakfasts, ran the generator to make coffee and toast, and dined at the casino for either a big lunch or a big supper. For in between meals it was cheese and crackers, or hummus and carrots...and mini eggs. This was our lucky weekend. 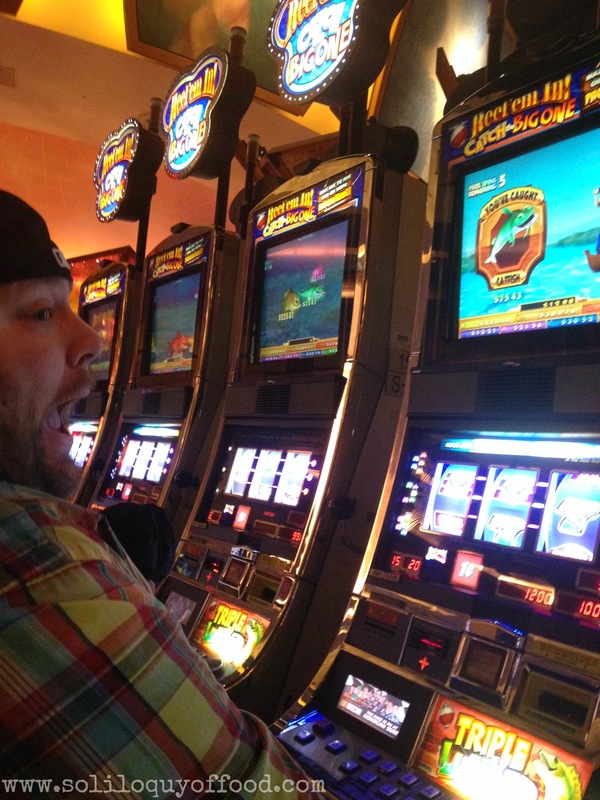 On sheer ignorance, having never run a slot machine before, Sean was max- betting and hit several bonus spin. He put in $20, bet $3 per spin, unknowingly, and won a few hundred!! Beginners Luck!! Frank Pepe Pizzeria Napoletana has a restaurant in the casino, this was our choice this weekend. They are an iconic Connecticut pizza place offering coal fired, Neapolitan style pizza. The crust gets that lovely black char on it from the high-temperature oven. It's amazing...and a large pizza is a LARGE pizza. There were 4 of us, we ordered: Foxon Park sodas, salads and 2 large pizzas: margarita (tomato sauce and mozzarella) and margarita with added garlic. Our second weekend was much of the same....except for the winnings. 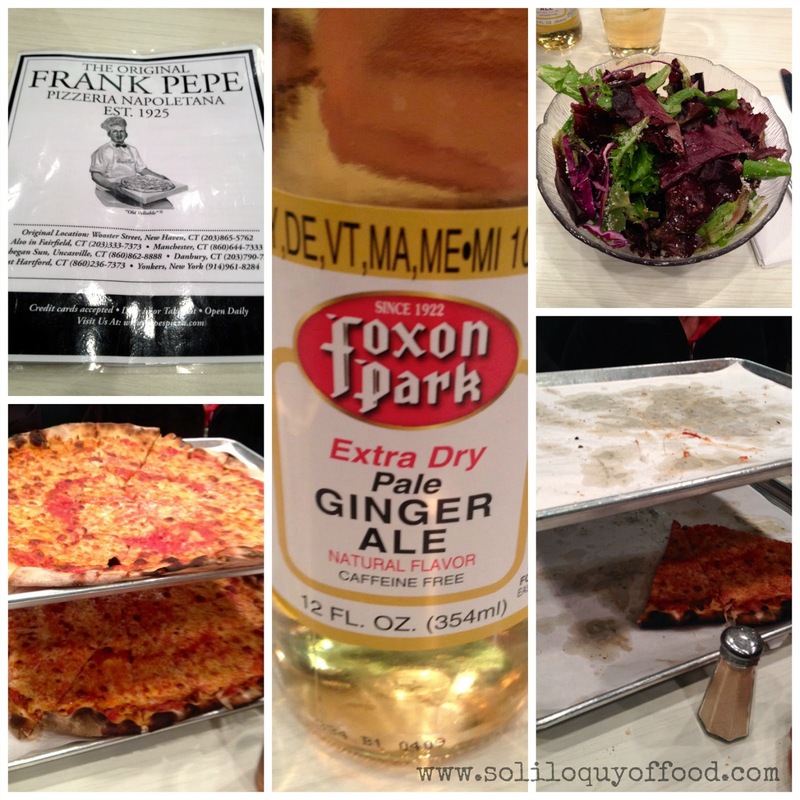 We had Pepe's again; this time adding pepperoni (wha-who, we know how to party). All systems, except water, were tested again - and were functional: furnace, heat pump, propane, oven, stove top, generator, 12 volt; they all passed inspection. Our third, and final weekend, was our transitional weekend....we had everything fully packed and were ready to go southwest from here! It was emotional leaving friends and family, and a little stressful ensuring that all our other affairs were settled, and/or in order. Staying a little longer this time around was a buffer; a way to decompress and get focused on our trip. Our families drove down to spend the day with us for one final goodbye. Friday Sean's brother stayed with us - as he did the past two weekends. We ate at the Land Down Irish Pub - the Irish Nachos, Fried Fish Sandwich, and Bangers & Mash were all excellent. Saturday my Mom & Dad came down for the day. They hadn't been to Mohegan in quite some time, so we gave them a tour of where we had been spending most of our time. We all had fun; we played the slots and then hit Land Down again...it's that good! Most of the same was ordered again in the addition to Pub Sliders, and a Bacon Burger. My brother, Shirley, and James came down on Sunday......we hit the buffet this time; it was very good. Given Sean's food allergies, and that James doesn't eat meat, there were still plenty of choices to accommodate their restrictions. Along with the prime rib, I sampled the Portuguese mussels, shrimp & butternut risotto, panko fried shrimp - then hit the dessert area for some coffee ice cream and flan. The casino, lit up at night, in the rain; taken from inside the RV. 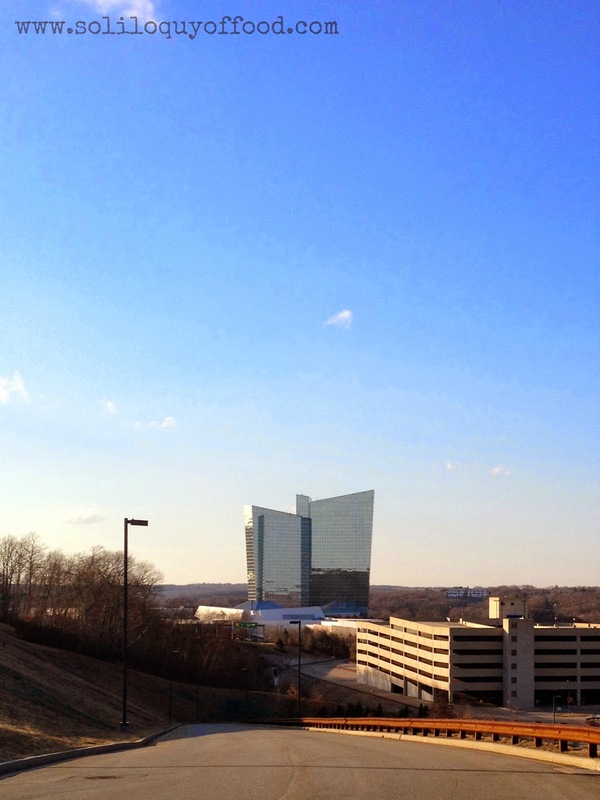 We left Mohegan a little bloated from all the great food - until next time. Mundo Wigo. Sounds like a fun trip! Thanks for linking up to Sweet and Savoury Sunday, stop by and link up again. Happy Easter, have a great weekend! Road Trip! We just got back from one ourselves. Not in a fun RV mind you but still fun.